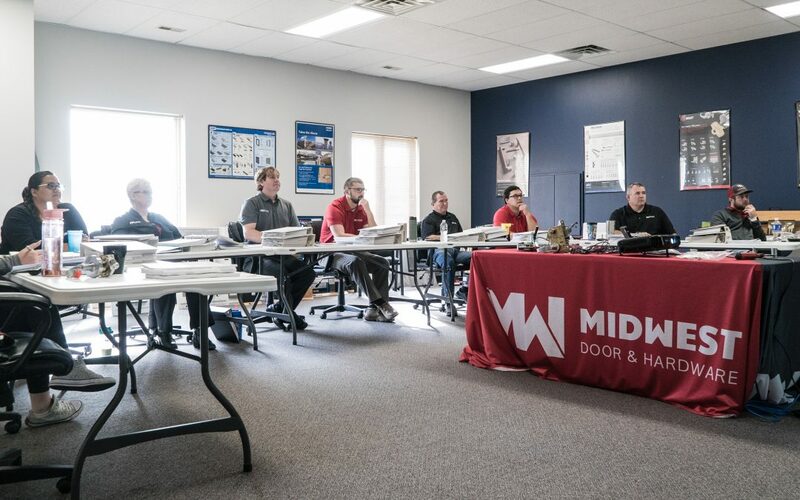 At Midwest Door & Hardware, our mission is to deliver exceptional quality products and service with professionalism and honesty that surpass our client’s expectations. To do this, and do it well, we have to stay on the cutting edge of industry updates. Which is why we make it a priority to support our team’s professional development through routine training. Lucky for our team, there are multiple opportunities to complete their training, including the job site, self-study, in the classroom, or at a collegiate level. We believe investing in our team will allow us to serve our clients efficiently and accurately. 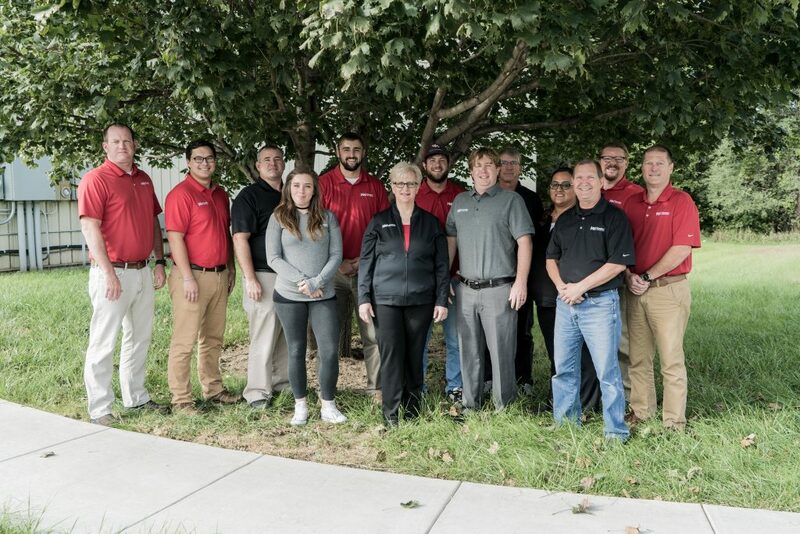 Whether we are developing new processes, providing product training, or learning about the latest technology, we want our employees to embrace positive change and be prepared for projects of any size and scope. Two team members headed to a neighboring state to a manufactures factory for tours and on-site training related to products we support. 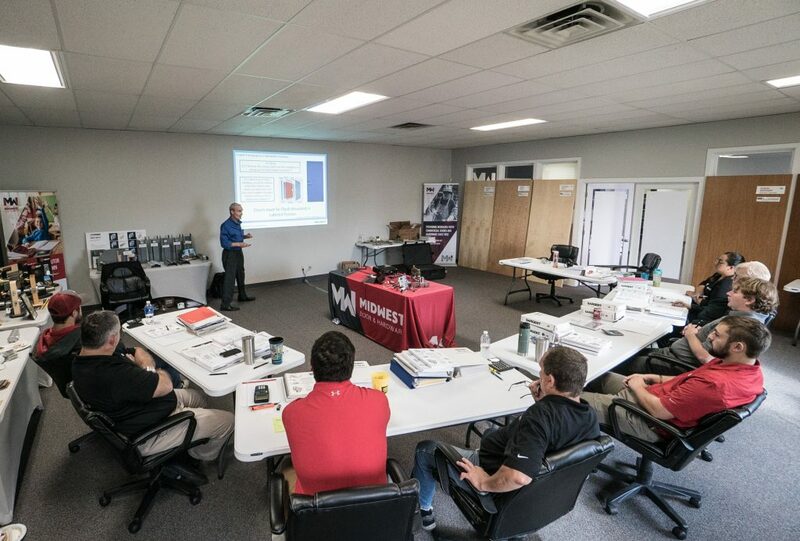 10 team members are in a month-long process of weekly product training assignments which requires 4-6 hours per week. 10 team members will be participating in three full days of on-site product training team exercises. Company culture training for all team members to support company goals, culture, and colleague collaboration. Bi-weekly product or company training with a wide variety of industry or product-related topics for the rest of the year. When you work with Midwest Door & Hardware, you receive only the best service and decades of experience. Our team is excited to put their new skills to the test and help you get projects done on time and on budget, with excellent results! To learn more about our services, give us a call today, (402) 464-6348!